There's not a stoplight in sight. People greet one another as they pass. You see friends and neighbors stop to talk on the sidewalks. Every morning you'll find the same group meet for coffee at the diner. This is a community of generations. This is a small town filled with pride. Our community is CHETEK the City of Lakes. Our name is SIX LAKES REALTY. Our business embodies the values of our town. Western Wisconsin the only way it knows how.. Personally. mile to earn your trust, gain your confidence and calm your fears. Whether you live in a big city, small town or somewhere in between, change happens. Making this reality easier for you - that's our job. The beautiful “Indianhead Country” of Northwestern Wisconsin awaits you! Chetek is a small, picturesque city located on a chain of six wonderful lakes, with over 60 miles of shoreline and 3800 acres of water. Chetek is worlds away in lifestyle, yet easy to get to: we’re about 40 minutes north of Eau Claire, 2 hours northeast of Minneapolis, and 3.5 hours northwest of Madison. 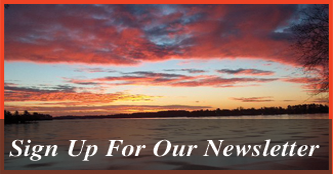 Six Lakes Realty has been serving Northwestern Wisconsin for over 35 years. We are a family owned business, run by second-generation professionals who know and love Northwestern Wisconsin. We offer complete real estate buying and selling guidance with hometown expertise and uncompromised service. If you are buying real estate, you’ll find many resources on our website to help you get started! Whether you are looking for a vacation getaway, vacant land for hunting or building, a business or a new year-round residence, our tips about the buying process will simplify your search. 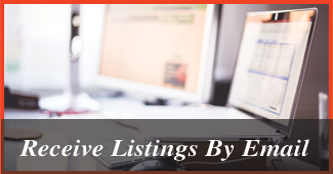 Explore new listings on our website, and contact us for personal property buying guidance! If you are selling real estate, use our home staging and home showing guides for expert tips on attracting top-dollar offers. Contact us for a complimentary property value consultation and for customized marketing strategies. Our local experience makes all the difference! Just visiting? Ask us about vacation rentals! A native of Chetek who returned after serving his country in the U.S. Navy for nine and a half years. 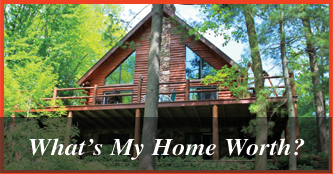 Active in the community with extensive knowledge of the Chetek Chain of Lakes and the Blue Diamond Recreational Area. Specializing in waterfront and recreational property. Carol has lived in Chetek since 1980 and just loves it! Having been in the bar/restaurant business in Chetek and former owner of Pokegama Inn and Caddy Shack Bar & Grill, Carol has met thousands of people throughout the years, making many lifelong friendships. Her reputation and businesses have been built on quality service and those qualities will distinguish her as a REALTOR®. Carol will treat you with the respect and honesty that you’d want from your REALTOR®. She will listen and ask questions to better understand your needs and desires. She will keep you informed every step of the way and follow through on her commitments. As a longtime resident of Chetek, she knows the area inside and out and can put her insider knowledge to work and find you that special property. Buying a home can be a very stressful experience. Julie Flor and the Six Lakes team made our home buying experience a fun and enjoyable one. Julie went above and beyond our expectations as a Buyers Agent. Whatever was needed, Julie either answered before we asked or provided what we needed asap. We looked at many homes on some very cold days; Julie was always willing to show whatever house we wanted to see. Phone calls were returned promptly even on weekends or when she was out of the office out of town. We highly recommend the Six Lakes Realty team whether buying or selling a home . If I could I would give the team six stars ! It was a pleasure to work with Six Lakes Realty. Nathan Weinhold made it possible for us to find the perfect home. Nathan went out of his way to answer all our questions and believe us, there were a lot. Nathan also made the process very easy for us and gave us valuable information and guidance from the very start to our closing. We are very pleased as a buyer to have chosen Six Lakes Realty and to have worked with your team at Six Lakes Realty. We will recommend you to anyone looking for property in the Chetek area. Thank you again for helping us make our dream home a realty. John Flor and the Team at Six Lakes Realty is a wonderful example as to how a Real Estate company should run. I listed my small cabin with John Flor and I knew I was doing the right thing. John’s customer service is second to none. Even if there was nothing to report he consistently called every month to check in. John is the best promoter of Chetek and his enthusiasm shows. The marketing that Six Lakes Realty uses is outstanding. I always felt my property was well exposed and marketed well. John has a lot of experience and enthusiasm and I felt confident I had picked the right person. I am glad when my property did sell that another Realtor in the Six Lakes office sold it. I went through a seamless closing and was kept informed every step of the way. As a former practicing Realtor, I would never hesitate to recommend John and his team for any real estate need. Their customer service, knowledge and experience is outstanding! Six Lakes Realty was an absolute pleasure to work with. We were in the market for a lake home and from the first meeting with Julie, she provided us with nothing but the most professional and enjoyable experience possible. All correspondence was answered quickly and we never felt 'lost in the shuffle'. Julie went above and beyond to help us find EXACTLY what we were looking for and once we found it, the closing process was a breeze. We would highly recommend Julie and the Lakeshore team to anyone looking for property in the Chetek area. Thank you Julie for helping us find a place where we will undoubtedly have a lifetime of great memories! Thank you and your team for helping us sell the lot in Chetek. We are happy and so are the buyers, Bruce and his wife. As you are aware we had previously listed with 2 others and the difference was extreme. To me there were 3 big differences, first you took the time to correctly price it to sell, second, continual contact to update me on the status, and finally the success in completing the sale. Thank You. John Flor of Six Lakes realty recently sold our cabin near Weyerhauser WI after having listed it for almost two years in the worst real estate market down turn in our lifetimes. His professional skills, positive attitude and persistence led to a sale which satisfied buyer and sellers alike. The unexpected loops and turns on the way to closing were negotiated skillfully on our behalf, and resulted in good outcomes for all. I would not hesitate to recommend John Flor and his team to anyone seeking professional and ethical representation in their real estate transactions. He fulfilled and exceeded all expectations. It was a pleasure working with John Flor and his team to sell our home in Chetek. John was very approachable and easy to get a hold of. He answered all of my questions and helped us through the entire process. He is ethical and maintains a great relationship with other agents and agencies, which helped us greatly in the sale of our home. We are so glad we were able to work with Six Lakes Realty. Julie not only found us the most amazing property that was perfect for us, but she also made the process easy. Julie lead everything from start to finish and all went flawless. We are truly grateful and highly recommend Six Lakes Realty to anyone looking to buy property in the Chetek area. Thank you to Julie again.